This fishing trip is specialized on targeting Snappers. We catch fresh bait and start fishing approx 30 minutes out and change spots during the trip. 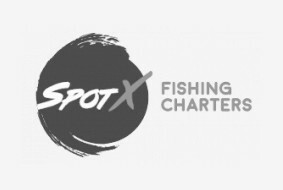 If you want to experience and fish the best of the Bay of Islands, this is the charter for you! We get all sorts of fish from the huge variety of species we have in the Bay. All fishing gear and bait included. Tea, coffee and hot chocolate is supplied on board. We fillet your catch on board and you can take it home or to one of a restaurants in the Bay. We are maximum 8 guests on board. We have no age restrictions. Life wests for all ages and sizes from 10kg. Adults $135 per person. Child up to 10 years is $125 per person. This Kingfish charter is specialized on targeting Kingfish. We start with catching live bait and then go chasing the Kingfish, the big fighter. If you want the adventure of a small game in the Bay this is the right trip for you! We are max 4 people on board. Tea, coffee and hot chocolate and morning biscuit is supplied on board. We have no age restrictions. Life wests from 10kg and up. Price is $260 per person. This fishing trip is specialized on targeting Snappers. We start fishing approx 30 minutes out and change spots during the trip. If you want to experience and fish the best of the Bay of Islands, this is the charter for you! We get all sorts of fish from the huge variety of species we have in the Bay. All fishing gear and bait included. Tea, coffee and hot chocolate is supplied on board. We fillet your catch on board and you can take it home or to one of a restaurants in the Bay. Adults $125 per person. Child up to 10 years is $115 per person. This Kingfish charter is specialized on targeting Kingfish. We start with catching live bait and then go chasing the Kingfish, the big fighter. If you want the adventure of a small intense game in the Bay, this is the right trip for you! The price is for up to 4 guests on board. You can add people by using Additional guests. All fishing gear and bait included. Tea, coffee and hot chocolate and morning biscuit is supplied on board. $1000 for up to 4 guests. Additional guest $100 pp. $1050 for up to 4 guests. $100 per additional guest. All fishing gear and is bait included. We are happy to show and teach you how to use the equipment! $950 for up to 8 guests. We are maximum 8 guests on board. We have no age restrictions. Life wests for all ages and sizes. Price: $900 for up to 8 guests.